OK, I can understand that for some people they don't, and they didn't for me for a long time, but apparently there are more people out there liking them than one might think. Quite some time ago one of my YouTube videos reached more than 40,000 clicks, and YouTube told me that it now was eligible to have ads placed next to it and if I wouldn't want to earn some money that way. All I would have to do is to get an Adsense account. Money sounds good to me, and although I always intended to keep the IL site clean, I wasn't bothered so much about YouTube. So I got an account and a few weeks ago I got my first check.... Wow! I am flabbergasted! In the meantime I now have changed the website into blogs and it turns out that it is very easy to use them in the same way. Subsequently I have decided to open some of them up for advert placements. I however could understand should some of you hate this idea and hence I would like to offer your a remedy. I don't know how this works for Internet Explorer, but for Firefox there is an Adblocker that you can install. 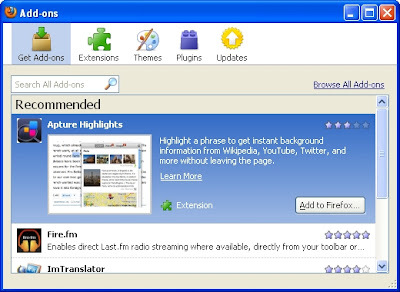 Since Firefox is the safer browser to use anyway, I would recommend changing to it, if you are not using it already. You can download a Firefox plugin for Adblock via the Tools menu. 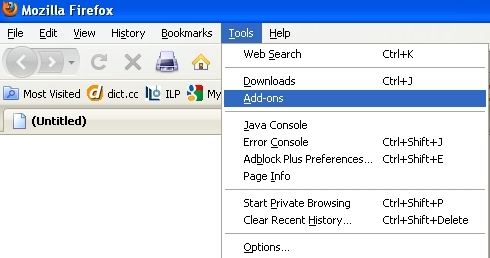 A new browser window opens and if you search for ad-block you get a link for Adblock Plus to download. Another plugin from the same site is NoScript. Scripts are all those things which make things move about in your browser window (like slide shows or other gadgets), and they can transport nasties. NoScript blocks them and you then can decide whether or not you trust this site and switch it back on. 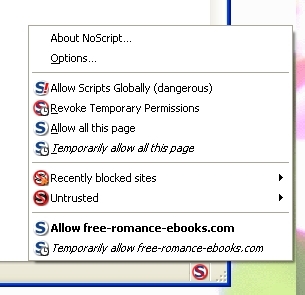 When NoScript is installed you have a little S in the bottom right hand corner of your browser. If it is blue the site you are just looking at has Scrips enabled, if it is red they are blocked (like in my example above). On click you can choose via the menu if you want to switch it on for good or just for as long as your browser session lasts. This is a bit of a nuisance at first because all the major sites don't work properly, but after a while one has switched those live and only on browsing through uncharted territory, it will turn red, and those are exactly the occasions for which one needs this, nothing bad can happen because of an accidental click. On my blogs there might not be any ads for a while, one needs to be discovered and found worthy first, but now you at least know how to avoid adverts, and I sneaked in a bit of security advice as well. So off we go into a productive and successful week! I'm now not sure the place you are getting your info, but great topic. I needs to spend a while studying much more or working out more. Thank you for magnificent info I was searching for this information for my mission. Your mode of describing all in this article is in fact fastidious, all can without difficulty know it, Thanks a lot.